The cottages are quietly located in the woods by the creek. 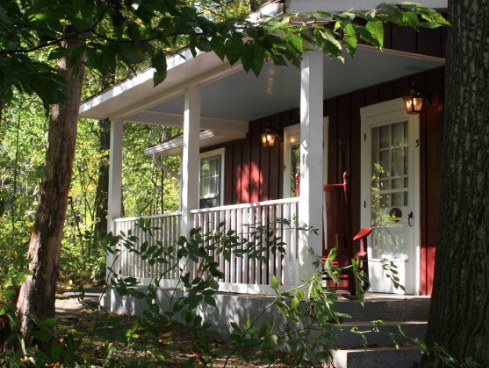 Each cottage is a duplex containing two separate units with an adjoining porch overlooking the creek. 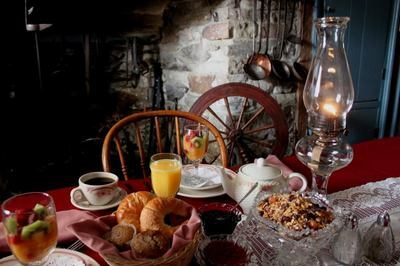 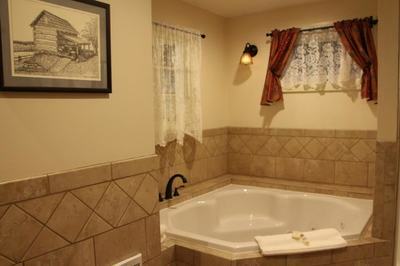 Cottages feature a queen bed, private shower, double whirlpool, fireplace, microwave and refrigerator. 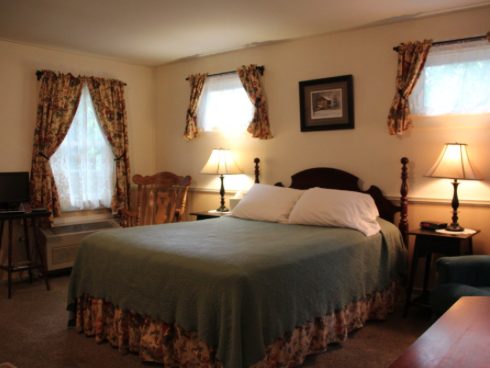 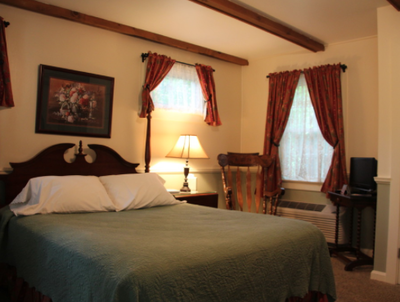 Each room is comfortably heated and air conditioned. 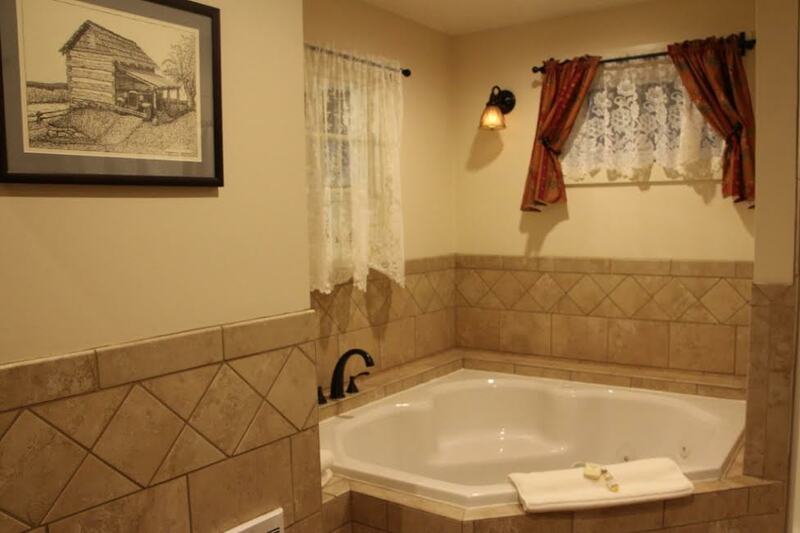 Please note Cottage #1 is semi-handicapp accessible. 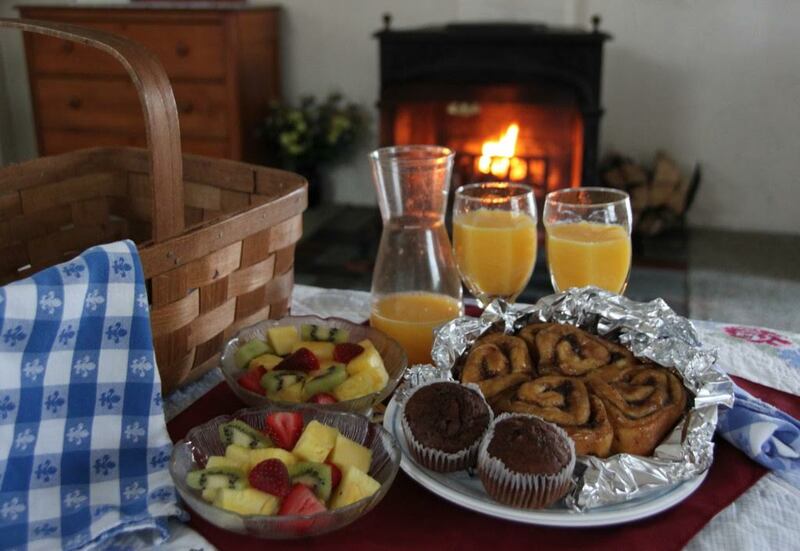 Office Hours: 9:00 a.m. - 6:00 p.m.; Sunday 10:00 a.m. - 5:00 p.m.